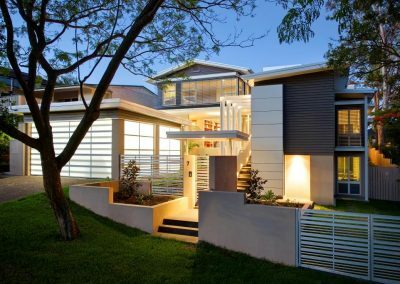 The original home was raised to form the top story of the new home. 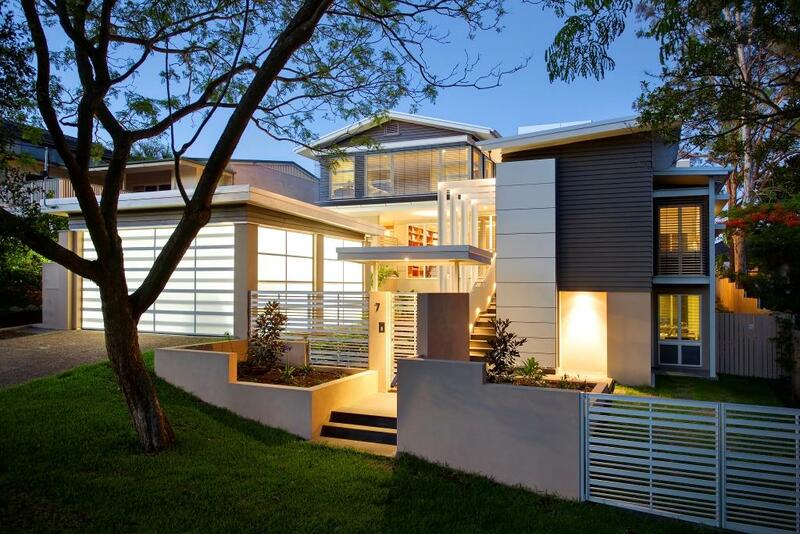 The design is a combination of Asian and Australian tropical architecture. 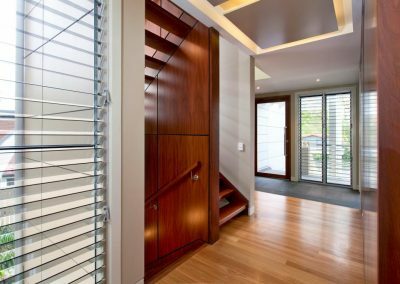 The internal rooms are separated with large sliding doors that allow for rooms to be closed off or completely open to the rest of the home. 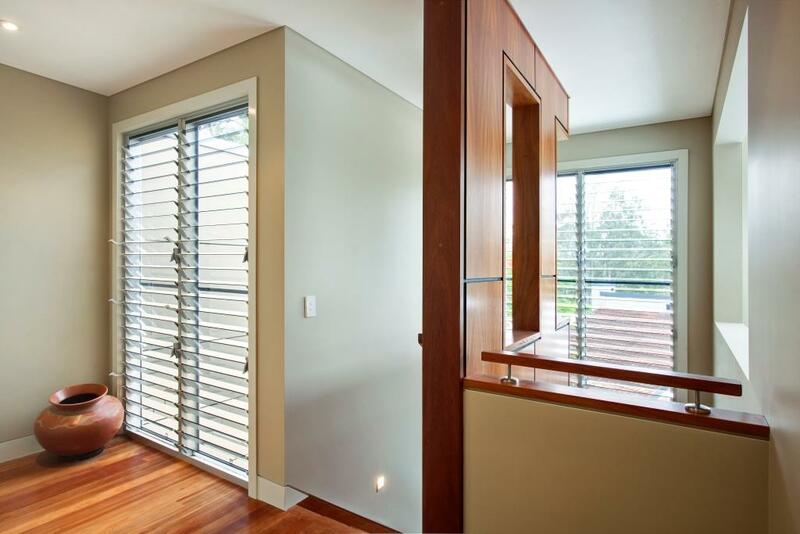 In winter this means that the home can be closed off to retain heat. 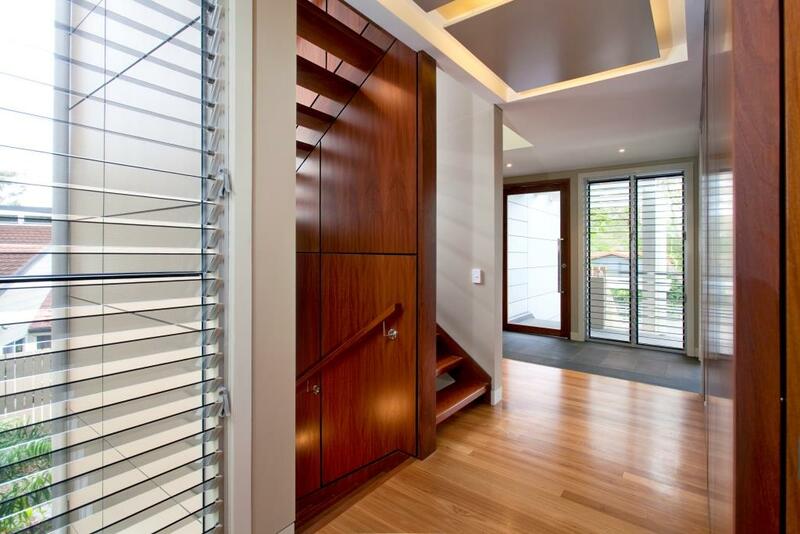 In summer the doors can be opened up, encouraging beautiful summer breezes to filter through the home. 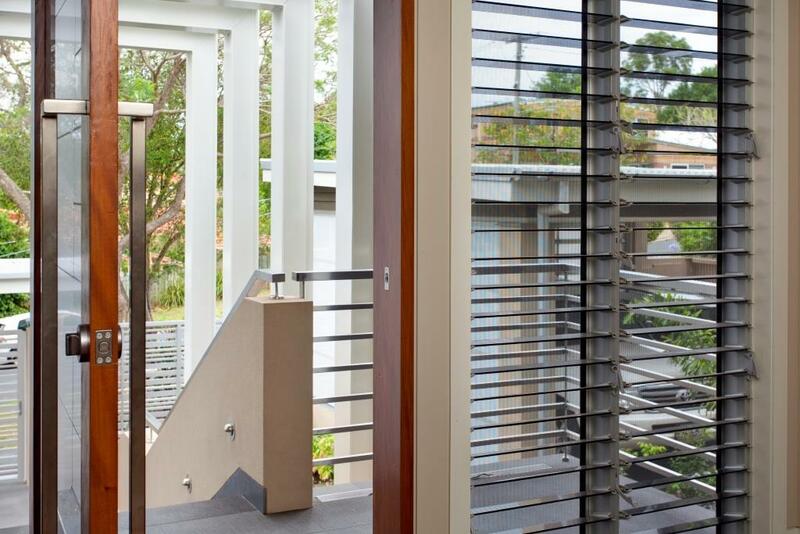 The form follows a response to climate with clever passive design. 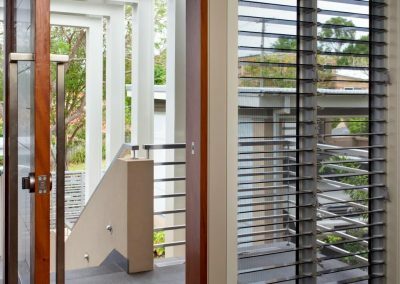 The multiple Breezway Louvre Windows included in the design open up to the best breeze and light aspects creating optimal natural ventilation. 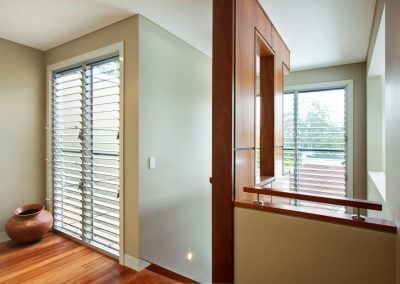 Directional breezes that enter the home through these louvres result in a beautiful living environment that seldom requires heating or cooling.